Debenhams, Matalan, Blue Inc and Card Factory sign up to this year's initiative. Brand Licensing Europe has welcomed four new retailers to its Retail Mentoring Programme as it celebrates its fifth anniversary. Debenhams, Matalan, Card Factory and Blue Inc will now join existing participants Boots, Sainsbury’s, Tesco and Miniclub in the six-month programme. Launched in 2010, the Retail Mentoring Programme gives buyers a wider understanding of the licensing business. 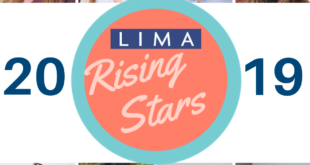 Nominated retailers take part in workshops and seminars, including the LIMA Licensing Essentials Course and Spring Fling in May, culminating at BLE in October. Last year over 45 buying professionals took part. Victoria Colgan, buyer for toddler boys at Debenhams, said about the programme: "I feel it will be beneficial as we are seeing strong sales from our licensed product and would like to understand how we can develop better product within quicker timescales. "Obviously to coincide with film releases, it’s important to hit the key selling periods. We would also like assistant buyers to gain a deeper understanding of the background work which licensors do so they can be empowered to ask appropriate questions." Darren Brechin, BLE event director, added: "The number of retailers participating has tripled since we launched the programme, and we are delighted that five years on this valuable initiative is still going from strength to strength. "We have had so much positive feedback from participants, with many confirming that in addition to gaining a deeper understanding of the industry, the programme has resulted in new business opportunities. We encourage any retailers who haven’t yet taken part to come on board this year." Brand Licensing Europe takes place at London’s Olympia from October 7th to 9th. 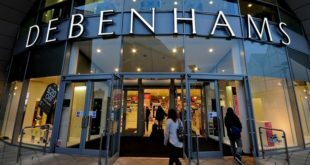 More store closures on the cards for troubled Debenhams?